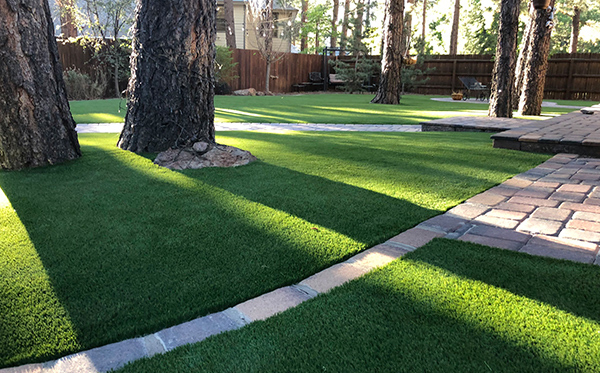 Our residential turf products are specifically engineered to perfectly replicate the look and feel of natural grass for front yards, back yards, side yards and dog runs. Our turf is easy to install, safe for children and pets, and stays realistically green year after year. Talk to us about how an artificial lawn in Phoenix or surrounding locations might be the perfect solution for your landscaping needs. Our artificial grass products don’t just make your landscape look beautiful, they also save you plenty of time and money! The cost of water and fuel is rapidly rising and gardeners are an expensive luxury. 21st Century Grass has everything you need so that you will no longer have to worry about maintaining and watering your lawn ever again. That’s right! You can kiss your gardeners and high water bills goodbye! Waterless grass truly is the solution of the 21st century. Contact us today to learn more about artificial grass installation in Phoenix or surrounding towns.